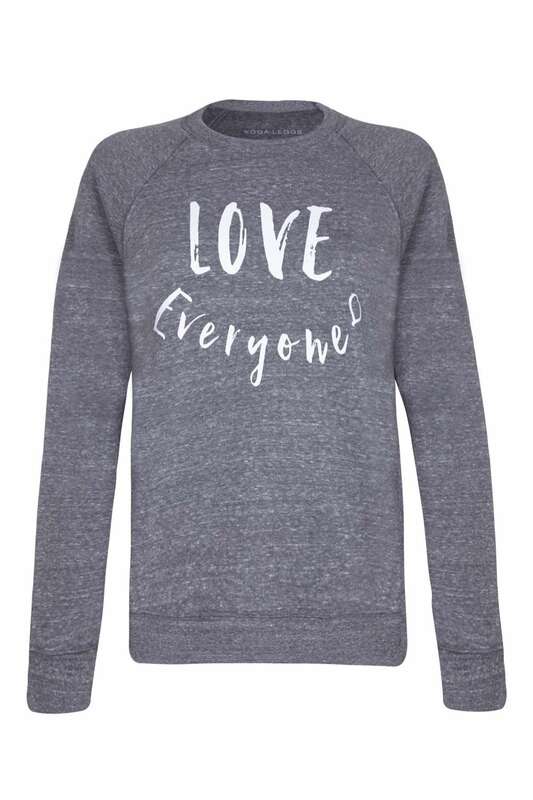 Yogaleggs Love Everyone positive slogan sweatshirt in grey and white. Join us in spreading the message of love whilst keeping stylish and staying comfortable in this cosy sweater. Suitable for yoga, pilates, running, barre, spinning, gym bunnies or a welcome addition to your lounge wardrobe. This is the best sweatshirt ever! Lovely supersoft material, really cozy and good length – perfect for wearing to and from class but also with jeans for casual wear – that’s if I ever take my Yogaleggs biker leggings off! LOVE!